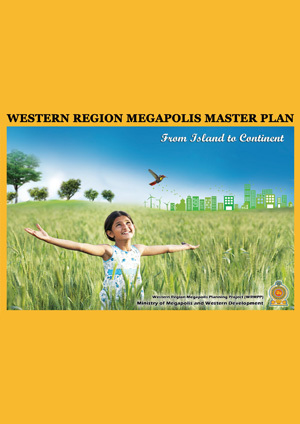 The Western Region Development Project will create a modern urban agglomeration. 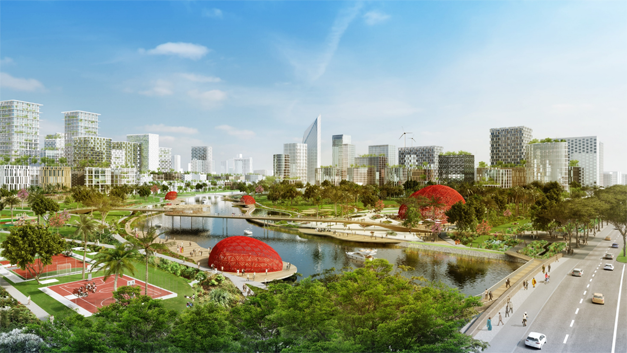 The challenges in designing and executing an urbanization project of unprecedented scope and scale are many. The government intends to undertake an ambitious development project to convert the districts of Colombo, Gampaha, and Kalutara into an integrated megacity. This will be the largest, most complex, and most capital-intensive development project Sri Lanka has ever embarked upon. This project is unlikely to have peers in the region. It will create a lasting multigenerational and multidimensional effect. The transformative impact will also be felt across the region and the globe. The most visible aspect of the project will be the transformation of physical landscape and built environment. In addition to creating a world class Central Business District (CBD), the megacity will also form a cluster of satellite cities: airport, science and technology, industrial, logistics, plantation, and forest. Sustainability and citizen centricity will both be key considerations and outcomes in altering the physical landscape and built environment. As such, due consideration needs to be paid to prevent the environmental and social degradation associated with the unplanned and unchecked growth of some of the megacities in the developing world, such as Manila, Sao Paolo, Lagos, Mexico City, Mumbai, and Kolkata. Transforming the Western Region into a coherent urban landscape will induce positive changes in the composite demographics of the region, which consists of its wealth, education level, and employment rate. The region will also attract world-class talent, which will provide innovative ideas for economic and social development. The improved physical and soft infrastructure, which will bring together the features of world-class modern cities including sustainable housing, will augment the livability of the region. Taking the Western Region to the level of a world-class urban center will make the region one of the most competitive urban centers in Asia. The ease of conducting business will be parallel to those of advanced economies and global financial and business centers. The region will be a magnet to regional and global businesses, which seek environments conducive to business growth defined by the geographic location and the availability of high-quality infrastructure, talent, and facilitating governance and institutional framework. A project of such scale and scope will create an intense, rapid, and lasting economic impact, which will reverberate throughout the region. As mentioned earlier, urbanization is the key driver in propelling the nation into the level of a high-income economy. Sri Lanka has been a regional trading hub for millennia. Historical chronicles, going back over 2000 years, reveal the value of the nation in regional trade in ancient times. Creating a modern urban agglomeration will reposition Sri Lanka as a modern nation, which is seamlessly integrated into the global supply chain. It will be a regional and international gateway. 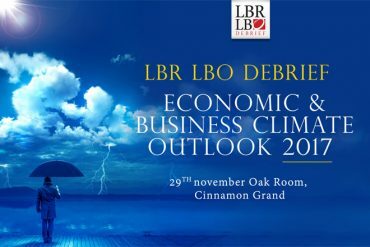 As in the case of “LBR LBO Infrastructure Summit 2015,” international, regional, and local thought leaders will share their expertise, experience, and perspectives. 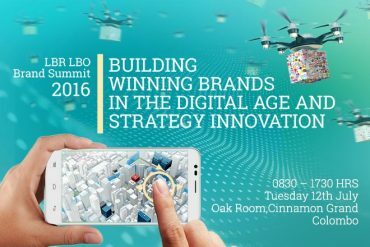 The quality of presentations and panel discussions will be similarly thought provoking and stimulating. Most developing nations have been economically driven by rapid urbanization. Sri Lanka, perhaps, is the least urbanized nation among the lower middle-income economies, in the region of 40% – 45% at the highest. The present government anchors its strategies to drive the nation to the next level of economic development on rapid urbanization. 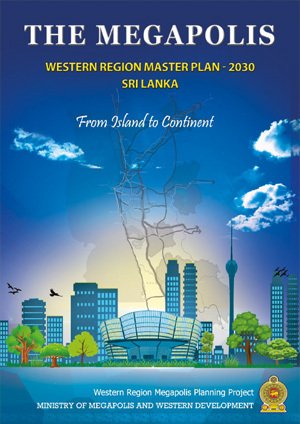 This includes developing Colombo, Kalutara, and Gampaha districts into a modern urban agglomeration and developing a number of provincial cities. Over the last two hundred years, the world population living in cities grew from an insignificant proportion to nearly 60%. This rapid growth of urban landscape has been dramatic and has altered the structure of societies; demographically, economically, socially, and politically. Urbanization has brought economic opportunities and public goods conveniently and economically to vast swaths of the population. Edward Glaeser, the Fred and Eleanor Glimp Professor of Economics at the Faculty of Arts and Sciences of Harvard University, observes that urban agglomeration facilitates the intensification of the division of labor and knowledge, the specialization and the trade that fuel progress. Glaeser argues that globalization and technology have increased the “returns to being smart”. In other words social progress, education and enterprise, manifest most in large, international metropoles. The “Beyond GDP” article series of the World Economic Forum observes that the rise of emerging market megacities acts as magnets for regional wealth and talent. This has been the most significant contributor to shifting the world’s focal point of economic activity. McKinsey Global Institute research suggests that from now until 2025, one-third of the world’s growth will come from the key Western capitals and emerging market megacities. Being a mega-city by scale itself does not necessarily bring social harmony and prosperity. The growth of cities has had adverse effects too. Overpopulated mega-cities are burdened with crumbling physical and social infrastructure, failed education systems, increasing environmental damage, crimes, and urban poverty. Many cities fail to get the infrastructure right, creating immense transport congestion and pollution by vehicular emission. Most of the mega-cities in the emerging world suffer badly from such intractable issues. On the other hand, well-planned and managed mega-cities drive growth, progress, jobs, and prosperity in the wider national economy. Surpassing its peers in the South Asian region, Sri Lanka has now reached the status of a lower middle-income economy. The “demographic dividend” was a primary driver of Sri Lanka’s economic growth and structural changes during the recent past, which made youth labor abundant for mass manufacturing; competitive labor costs and a relatively educated workforce that could be easily trained for skilled work. Sri Lanka’s economy transitioned from a previously predominantly rural-based agriculture economy towards a more urbanized economy driven by services. In 2015, the service sector accounted for 62.4 percent of Gross Domestic Product (GDP), followed by manufacturing (28.9 percent), and agriculture (8.7 percent). The country ranked 73rd in the Human Development Index in 2014, and has comfortably surpassed most of the MDG targets set for 2015. Sri Lanka also benefited immensely from the acceleration of the process of globalization, which facilitated increased cross-border flow of capital, goods and services, and labor. However, the strategies that made recent economic progress a reality will no longer be useful in the context of the evolving regional and global economic landscape and the aspirations of society. Moving up to a high-middle-income economy necessitates a new set of strategies – deploying cutting edge technology, creating business-friendly policy and institutional framework, facilitating the creation of high value industries and services, significantly improving worker productivity, and of course physical and soft infrastructure. Hon. Ranil Wickremesinghe, Prime Minister, has set a “moonshot” target for the nation – making Sri Lanka the most competitive nation in the Indian Ocean Region. 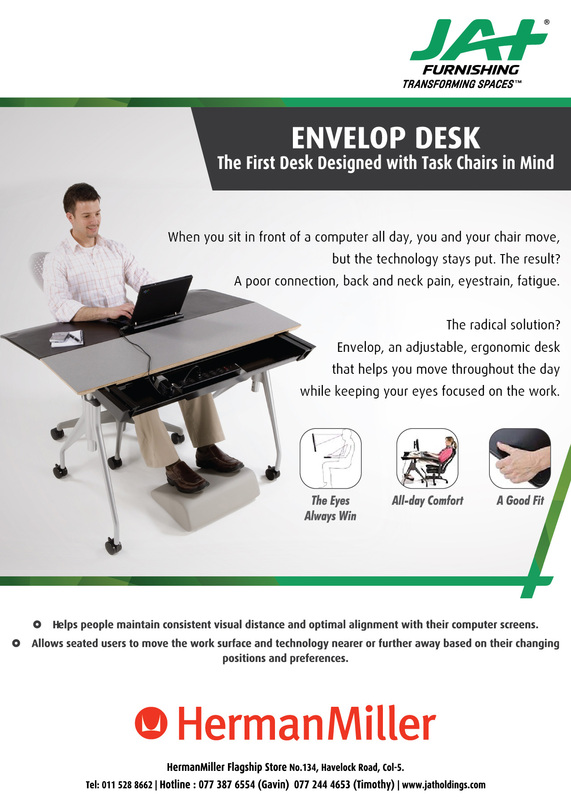 This includes building an ultra modern urban center covering an area of 3,600 sq. km in the Western Region. A vital element of a competitive economy, in today’s context, is a topnotch infrastructure, both physical and soft. World-class infrastructure attracts the investment and talent needed to create next-generation innovative enterprises, encompassing all modern industries and services and public services. Such infrastructure improves quality of life and minimizes damage to the biophysical environment. Turning the Western Region into a megacity is a massive, complex, highly capital-intensive and unprecedentedly ambitious project that has the potential to transform the whole Western Region into a world-class metropolis. If executed well, this will be a model metropolis on par with those found in advanced and developed nations. The Port City of Colombo will be the most visible element of the new ultra modern urban center that will emerge in the Western Region. It will be Sri Lanka’s first world-class urban built environment, rivaling key modern global business and financial centers around the globe. 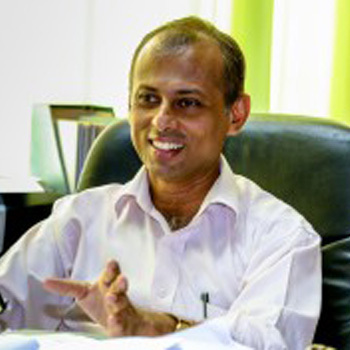 Dr. Harsha De Silva, M.P. 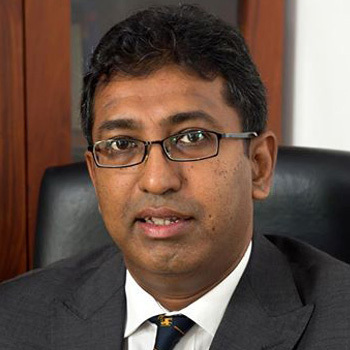 Dr Harsha de Silva, MP is a Sri Lankan economist and politician. 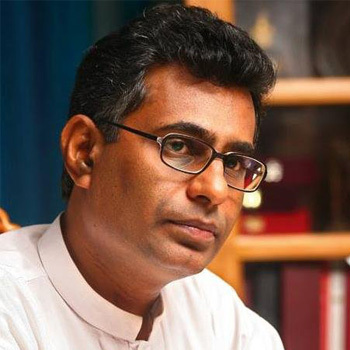 A current member of Parliament of Sri Lanka, he is the current Deputy Minister of Foreign Affairs and the former deputy minister of Policy Planning and Economic Development in the 100 day government. He has gained lime light as a media personality hosting several talk shows relating to development and international matters. In the recent years he voiced his opposition to the economic policies of the previous government. 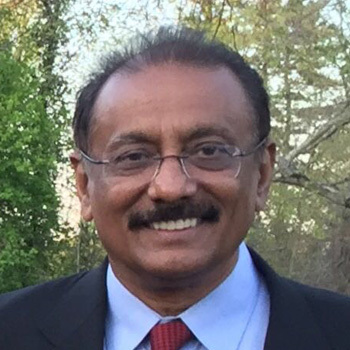 Educated at Royal College Colombo, he gained his BS in Business Management from Truman State University in 1988 and went on to complete his MA and PhD in Economics at the University of Missouri in 1993. He has also participated for an executive program on evaluating social programs at the Massachusetts Institute of Technology in 2006 as an Eisenhower Fellow. Dr. Dorothy T.F. Chan is the Deputy Director, School of Professional and Continuing Education, University of Hong Kong and Head of Centre for Logistics & Transport; an Independent Non-Executive Director of MTR Corporation Limited and AMS Public Transport Holdings Limited. Dr. Chan retired as the Deputy Commissioner for Transport of the HKSAR Government in 2002 and has published several papers on Hong Kong’s public transport development. She regulated the operation of public transport services in Hong Kong and was also the Departmental Manager responsible for manpower development, contingency traffic coordination and management of transport related contracts. With her 30 years civil service career, Dr. Chan has rich experience in public administration. She was awarded the Bronze Bauhinia Star for meritorious service in transport. She promotes the development of professionalism in transport management through her involvement in the Chartered Institute of Logistics and Transport (CILT) in Hong Kong. She served as the President of the Hong Kong Branch in 1989 and became the International President of the Institute (2013-2014) overseeing branches in 32 countries with 30,000 members. Founded in 1919, the Institute is the leading global professional organization providing education, training and professional networking platform for members. She is also the Global Advisor of Women in Logistics and Transport in the Institute. 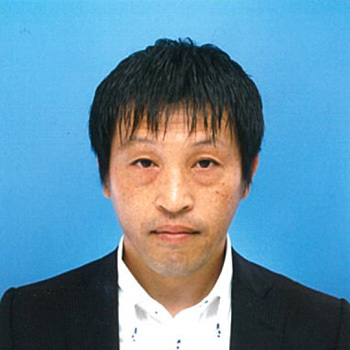 Dr. Chan is closely involved in training and professional development in the field of transport and public administration. She has been engaged in the education field and research topics on China and overseas transport projects. 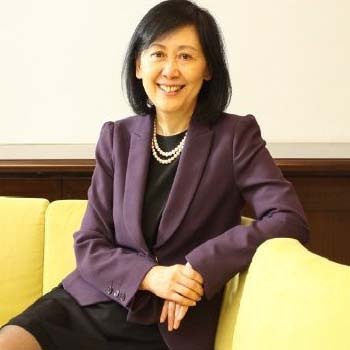 She is currently an Honorary Assistant Professor in the University of Hong Kong delivering the Master of Arts Programme in Transport Policy and Planning and Adjunct Professor, Department of Civil and Structural Engineering of Polytechnic University of Hong Kong. She is a Member of International Steering Group on Mega Projects of Bartlett School of Planning of University College London. She obtained her Bachelor of Social Sciences degree from the University of Hong Kong, and further obtained a Master degree and Doctorate degree in Public Administration with her alma mater. Dr. Chan is a Board Member of Hong Kong Research & Development Centre for Logistics and Supply Chain Management Enabling Technology Limited (LSCM) and also a member of the Board of Governors of the Hong Kong Institute for Public Administration. She was a Member of Social Welfare Advisory Committee (2009-2014), a Member of Advisory Council on Environment and the chairperson of the Environmental Impact Assessment Sub-Committee (2007-2014). Dr. Dimantha De Silva is a Senior Lecturer at Department of Civil Engineering at University of Moratuwa, Sri Lanka. He received his M.Sc. in Transportation Engineering and B.Sc. in Civil Engineering from the University of Moratuwa, Sri Lanka. He completed his PhD in Transportation Engineering from University of Calgary, Canada. 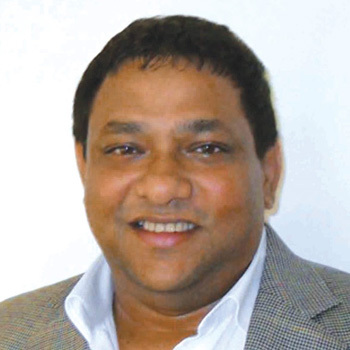 He has over 14 years of transportation engineering experience in Sri Lanka, Canada and in USA. From 2006 to 2014 he worked as a Transportation Engineer in Canada, developing activity based transport demand models, spatial economic land use models for policy testing in macro and micro policy planning. In 2014 he has returned back to Sri Lanka to join the University of Moratuwa. Kamal Dorabawila is a Principal Investment Officer at IFC, the private sector arm of the World Bank Group, which promotes development in emerging markets. He leads IFC’s investments in Energy and Infrastructure in a number of countries in South Asia and has extensive experience leading project and corporate debt transactions as well as equity investments. 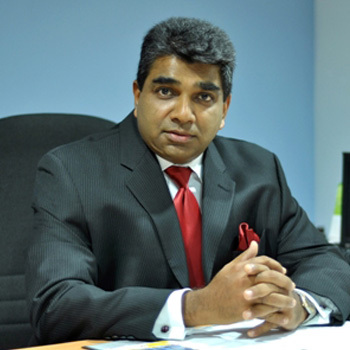 Prior to relocating to Colombo (Sri Lanka) in 2012 where he is currently based, Mr. Dorabawila was based in Washington D.C. at IFC’s headquarters for 13 years, leading transactions across the globe in oil & gas, power and transport sectors. He is a graduate from the Wharton School of Business at the University of Pennsylvania and also has an M.Sc. in Electrical Engineering from the Engineering School of the same University. Gayani was the former Director, Customer Service responsible for supply chain and a Management Committee member of Unilever Sri Lanka LTD. During her 19 year tenure with Unilever locally and overseas, she has held senior management roles across many functions prior to her early retirement to start her own consulting and lecturing career. 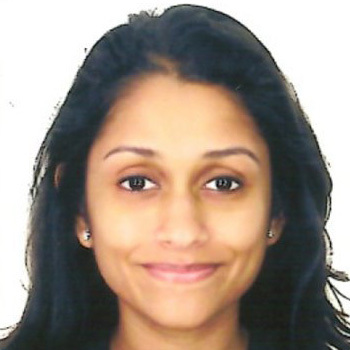 She is an experienced supply chain professional who holds a MBA from Postgraduate Institute of Management (PIM) of University of Sri Jayewardenepura and MSc in Food Process Engineering from University of Reading, UK. She did her BSc Chemical Engineering undergraduate studies from University of Moratuwa. She is also a Certified Supply Chain Manager (CSCM) from ISCEA, USA. Gayani Co-founded Women in Logistics and Transport (WiLAT) forum Sri Lanka and is the first Chairperson of WiLAT. She is the Global Advisor for Mentorship for WiLAT. She is a Fellow of Institute of Supply and Materials Management (ISMM) and a Chartered member of Chartered Institute of Logistics and Transport (CILT). She is a member of the Sri Lanka Institute of Directors (SLID) and Organization of Professional Associations (OPA). She is also a Board of Advisor for AIESEC, the international student body in SL. She was recently awarded the “Women at the Helm Award for Most Outstanding Female Business leader of the Year” at PIMA National Management Awards and “Distinguished Mentor and Role Model Award” by WiLAT Nigeria for her pioneering efforts in leading mentorship program globally. Currently she is a Consultant to many leading blue chip companies and a visiting faculty member for postgraduate programs in leading local and foreign universities. Helani Galpaya is CEO of LIRNEasia, a pro-poor, pro-market think tank working across the emerging Asia Pacific on ICT policy and regulatory issues. She assumed the CEO role in Jan 2013. Prior to that she was LIRNEasia’s Chief Operating Officer. She researches, does consulting work and engages in public discourse on issue related to net neutrality, policy and regulatory barriers in Internet access, e-Government, broadband quality of service, and how knowledge and information disseminated via ICTs can improve inclusiveness SMMEs (small, medium and micro enterprises) in agriculture and micro-work markets. She has been working in Myanmar since 2013, and is currently carrying out an impact analysis of the mobile phone roll-out that is taking place. Prior to LIRNEasia, she worked on at the ICT Agency of Sri Lanka implementing e-Government projects. She was a management consultant at Booz&Co. (now Strategy&) in New York and has also worked at Citibank and Merrill Lynch in USA. She has a MS in Technology & Policy from the Massachusetts Institute of Technology, Cambridge, USA and a BA in Computer Science from Mount Holyoke College, Massachusetts, USA. 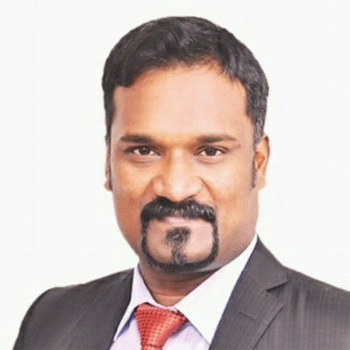 Muhunthan Canagey, is the Managing Director / Chief Executive Officer of the Information Communication & Technology Agency of Sri Lanka (ICTA). He has been in the ICT industry for over two decades and is one of the country’s youngest entrepreneurs. He stepped into the field of IT at a very young age of 16. Canagey holds a Master’s Degree in Information Technology from the University of Keelle (UK) and has extensive knowledge of the industry. 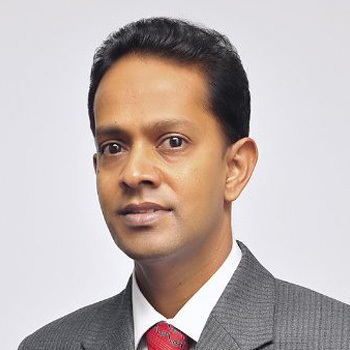 He was the founder and CEO of multiple technology enterprises and was the founder and CEO of a highly successful enterprise in the area of satellite communication and media: a first of this nature to be formed in Sri Lanka. He has been very successful in productising software applications developed in Sri Lanka and in formulating strategies and policies for taking local products to the international market. She have been Vice Chairperson of CILT Sri Lanka since 2012 and am Chairperson of the membership committee. 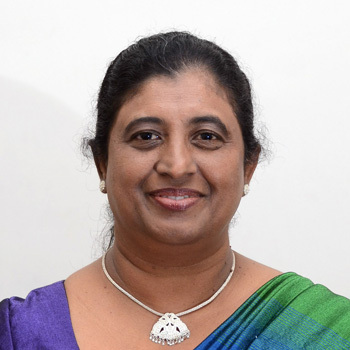 She has been part of the WiLAT family since the inception of WiLAT in Sri lanka in 2013 and contributed in establishing the WilAT Sri Lanka Forum. 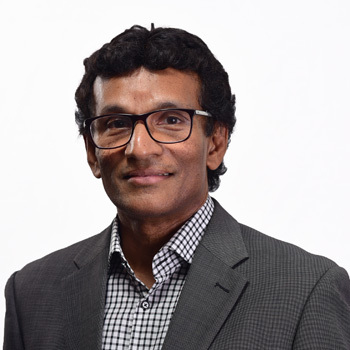 Harsha Fernando is an Attorney-at-Law with over 20 years of experience engaged in legal practice concentrating mainly on corporate, commercial, contract and constitutional law. He is an International Consultant (legal and governance) to the Asian Development Bank. He is also a Consultant Trainer with Singapore’s Sea-Change Partners (Pvt) Ltd., a global training and consulting firm in conflict, negotiations, ADR and crisis management; and Accordance Inc., USA. He has consulted the Word Bank, International Organization for Migration (IOM), and the United Nations Development Program (UNDP). He has worked in a number of countries, mainly in Asia. He is a visiting resource person to Queen Mary University of London (LLM Program) and Postgraduate Institute of Management (PIM) of Sri Lanka (MBA program). He is also a Member of the Board of Management of PIM. He was a visiting lecturer/resource person to Bandaranaike Centre for International Studies, Sri Lanka Law College, and International Development Law Organization (IDLO), Rome. He functions as the Legal Advisor to the Ministry of Justice. He is also invited as an Expert to the Sub Committee on the Judiciary of the Constitutional Assembly of the Parliament of Sri Lanka. 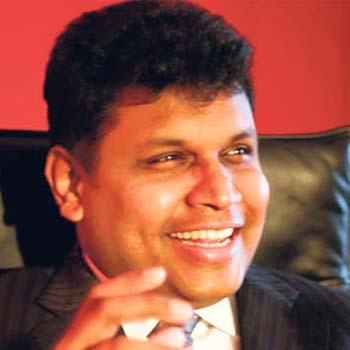 Harsha was a Senior State Counsel of the Attorney General’s Department of Sri Lanka for over 14 years and was also the Legal Consultant to the Board of Investments, Central Bank, Telecommunications Regulatory Commission, Strategic Enterprise Management Agency, and the Government’s Peace Secretariat (during ceasefire negotiations in 2002). 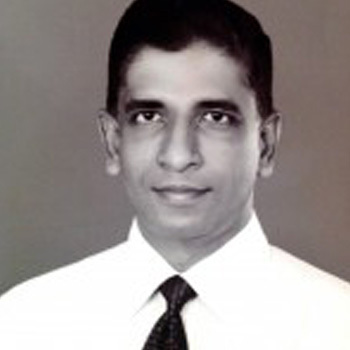 He was also an Industrial Relations Advisor with the Employers’ Federation of Ceylon in 1996 dealing with industrial disputes and labour negotiations. He has worked with several government, private and development sector institutions including the military, trade unions and development and human rights agencies. Harsha is an Attorney-at Law and holds a Masters in Business Administration (MBA) from Singapore; Executive MBA from the Sloan School, MIT, USA; and a Master of Laws (LLM) in Economic Regulation from Kings College, University of London. He is a trained Mediator and a Negotiation Trainer under the Interest Based Negotiation method. He is a Nanyang Fellow of the Singapore’s premier leadership program, a Chevening Scholar of the Foreign & Commonwealth Office of UK and was awarded the “Most Outstanding Young Person of the Year for Legal Administration” by Junior Chamber International in 2011. He has published many articles covering a wide array of subjects. Lalith Lankatilleke is an Architect-Planner by profession, with over 40 years of experience in field of people’s development. Of these, he has been with UN-Habitat for 36 years working in several countries in Africa and Asia. He has been credited with championing the People’s Process of development through innovative approaches of placing people at the centre of decision making in planning and housing. In Sri Lanka (1984-89), he was responsible for the design the Urban Housing Sub-programme of the Million Houses Programme. He developed community decision-making methods like, Community Action Planning, Community Building Guidelines and Rules, Community Contracting and many others. In Namibia, (1992), he designed the Build Together National Housing Programme. He introduced the People’s Process of Housing to South Africa in 1995 which became the main component of the national housing programme. Since then he has worked for UN-Habitat in Bangladesh and Afghanistan as the head of the agency. In 2005 following the Indian Ocean tsunami, he played a pivotal role to empower the affected people to rebuild their lives and housing. 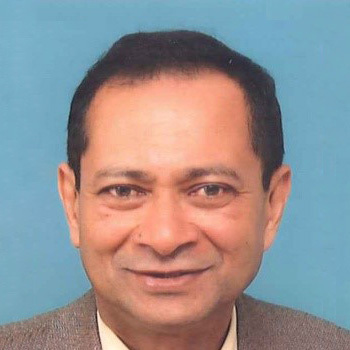 Since 2006 he has been serving as Senior Human Settlement Officer in the Regional Office for Asia and the Pacific of UN-Habitat in Fukuoka, Japan responsible for Afghanistan, Pakistan, Bangladesh and Sri Lanka. He has retired from UN-Habitat in 2014. Lalith has also been teaching at major universities of the world. Mr. Singh has more than 30 years experience in Transportation Planning, Design and Management of Mass Transit Systems (both Rail and Bus), Heavy Rail and Intermodal services. He was the Chief of Internal Controls and Special Projects for the New York City Transit Authority ( the world’s largest Rapid Transit System by track length and by number of stations with the ridership more 8 million passengers per day) and among his other duties, was responsible for the commissioning of $10.2 Billion in metro and bus facilities. He also oversaw the handicapped accessibility and Para-transit (for physically impaired) operations. 20 Billion dollars. Post 9/11 he was also given additional charge of security. 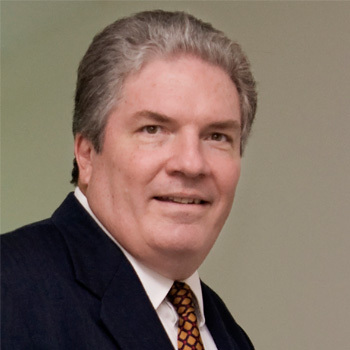 He was the nodal officer for the intermodal connectivity with the World Trade Center site and played a key role in the planning and design of the freedom towers with a focus on connectivity between the bus systems, inter-state commuter rails and the New York City metro systems. From 1998 till 2005 Mr. Singh played a key role on behalf of New York City Transit in advising the Delhi Metro Rail Corporation in their formative years from 1999 to 2005 Phase – I on all elements of the system including intermodal, sizing of stations, platform lengths and point to point connectivity with the focus on mitigating the future demand. 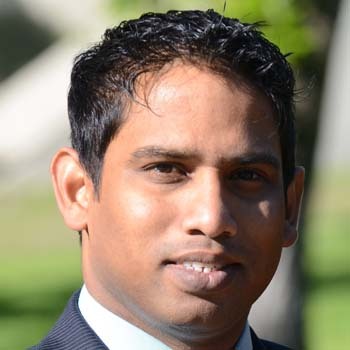 Mr. Damitha Kumarasinghe graduated from the University of Moratuwa, Sri Lanka specializing in Electrical Engineering. He earned a Masters Degree in Engineering (M.E.) from the University of New South Wales, Australia on Electricity Industry Regulation and Restructuring. 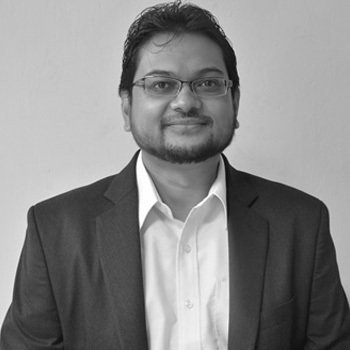 Further he has a Masters Degree in Business Administration (MBA) from the University of Colombo. He has been actively involved in developing the regulatory frameworks for the Sri Lanka infrastructure industries during last decade. His expertise is in restructuring of infrastructure Industries and developing regulatory and legislative frameworks for the infrastructure industries.Prior to joining the Commission he has worked in the private sector and also as a Consultant to the Ministry of Economic Reforms, Science and Technology. 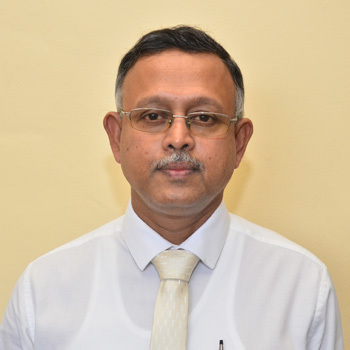 Further, he is a Director Board Member of Sri Lanka Sustainable Energy Authority and Condominium Management Authority of Sri Lanka. 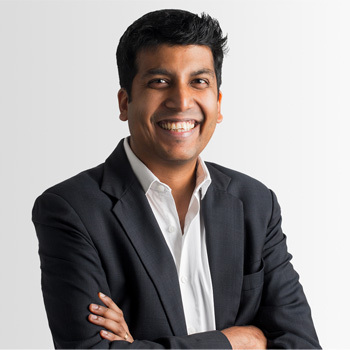 Based in Singapore, Anupam Yog is a Strategy Director with The Partners, a Strategy, Design & Innovation consulting firm, which strives to provoke success for brands who aspire to lead, whatever their ambition. The Partners is part of the WPP network with offices in London, New York and Singapore. Previously, as International Marketing Director at Virtuous Retail from 2010-15, Anupam was responsible for experiential branding, design & placemaking, marketing and retail strategy for a portfolio of 7MM institutional grade retail real estate spread across 6 of India’s top 9 cities. 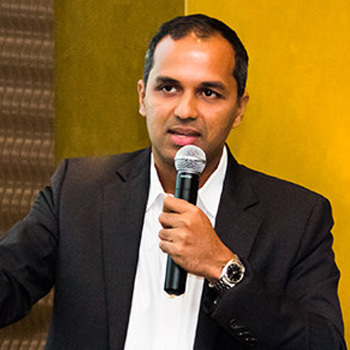 In his role, Anupam successfully delivered award-winning digital marketing, brand positioning, trade and consumer marketing campaigns; he also pioneered a community-based design strategy implemented across the group’s flagship projects that emphasized walkability, open spaces and integration with the public realm, a first in India. 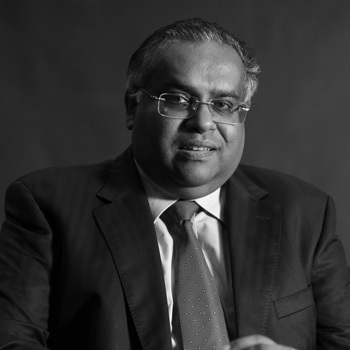 Prior to joining Virtuous Retail, Anupam founded Mirabilis Advisory, a city branding and economic development consulting firm in 2007, where his clients included the Mayor of London, for whom he developed Brand London in India & China, and the Volvo Ocean Race, which he successfully steered into India, for the first and only time in the Race’s history in 2009. Earlier, from 2003-2006, Anupam helped establish the India Brand Equity Foundation, a Government of India initiative to position Brand India globally. 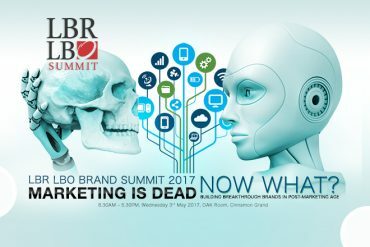 At IBEF, Anupam conceived India’s umbrella brand “India: Fastest Growing Free Market Democracy”, and successfully implemented several brand campaigns across global markets. Anupam also managed major economic diplomacy initatives including the “India Everywhere” campaign at the World Economic Forum, Davos in 2006, and the “India-ASEAN Car Rally” in 2004, a heads of state initiative that involved taking 60 cars across 9 countries travelling 8000km in 20 days. Anupam is passionate about cities and placemaking. He is a firm believer in the power of mega events and their transformative power if harnessed correctly; he is a member of Future Agenda, the world’s largest open foresight programme, where he has led discussions on the future of cities. Anupam has spoken on design and inclusive citymaking at SAIS, Johns Hopkins University, the World Bank in Washington DC, the Asia Society, and the India Design Forum. In 2007, he was profiled by BusinessWorld magazine as an innovative entrepreneur in an article titled “Metro Yogi”, and in 2009, by Metropolis, World Association of Major Metropolises in “Indian Cities: Managing Urban Growth”. Anupam received an Honours Degree in Political Science from Delhi University in 2000. He was elected President of the India chapter of AIESEC, the world’s largest student organization from 2000 to 2001, and is currently Chairman of the Board of Directors of the AIESEC Alumni Association. Anupam is an active member of the International Council of Shopping Centers and the Urban Land Institute. Nishan de Mel, Executive Director and Head of Research, is an economist with extensive academic, policy and private sector experience. 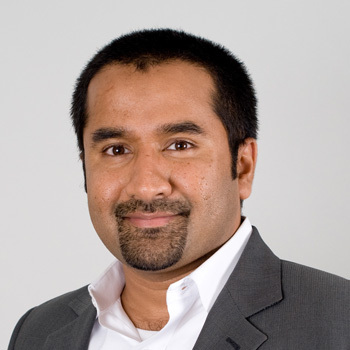 Nishan taught and researched economics at Oxford and Harvard universites. In the 1990s, he sat on multiple Presidential Task Forces in Sri Lanka, playing an instrumental role in designing national policies on Health Sector Reform, Social Security and Tobacco & Alcohol. He also served as the Executive Director of the International Centre for Ethnic Studies and the Sri Lanka Foundation Institute. He sits on multiple private sector boards and consults regularly as a strategist for some of the region’s largest firms. Nishan completed his undergraduate studies at Harvard University, and his graduate studies at Oxford University, where he was a Chevening Scholar. Amal Kumarage is a transport sector professional with over 30 years experience in academia, government and consulting. As an academic and researcher he has set up several academic programs and a department of study at the University of Moratuwa where he is currently a Senior Professor. He has published extensively in transport planning, public transport, traffic engineering, road safety, transport project appraisal, and urban transport. He has served as advisor to several ministries in the Government of Sri Lanka as well as the Maldives. He has served as a World Bank and ADB consultant both in Sri Lanka and many other Asian countries. As an Administrator he has served three times as the Chairman of the National Transport Commission and on several other statutory boards over a period of 20 years. He has been instrumental in introducing a fares policy for bus transport as well as several reform programs that have contributed to the strong survival of Sri Lanka’ bus industry’s amidst rapid motorization. He introduced Traffic Impact Assessment and computer based traffic signal controls to Sri Lanka and the TransPlan demand estimation model, and also developed several transport sector masterplans and strategic plans from time to time. He campaigns for professionalism in the transport sector, people oriented design of infrastructure and services and safeguards for the marginalized. He currently works on the current bus reform pilot Sahasara in Central Province. He holds a Civil Engineering degree from the University of Moratuwa and a PhD in Transport Planning & Engineering from the University of Calgary. He is a Chartered Engineer and Fellow and former Chairman of the Chartered Institute of Logistics & Transport where he also held the post of an International Vice President. He is a lay preacher and with his wife Premila are resource persons for training young leaders. He is a Civil Society activist in Anti Corruption and for Good Governance. They have two children Aloka married to Anushke, and Arush. Eng. Sumedha Ratnayake is a chartered engineer specialized in civil engineering with honors, graduated from university of Moratuwa. He is also having post graduate qualifications in highway and Traffic Engineering. He is a member of Institute of Engineer’s Sri Lanka. Having completed 24 years of service in the industry, he has experience in planning, implementing and managing various infrastructure project in Sri Lanka and in various countries. Sumedha is a distinguished old boy of Ananda College, Colombo. 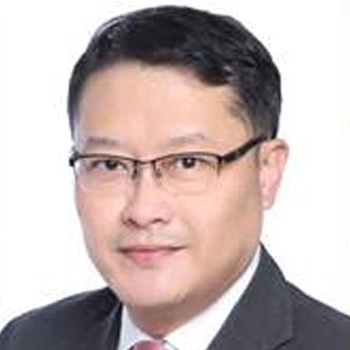 Mr. Liang Thow Ming serves as Head of Capital Markets and Executive Director at Credo Real Estate (Singapore) Pte. Ltd. Mr. Ming has over 20 years of experience in the real estate industry in different capacities and worked in both developer and consultancy firms. He held key management positions in CB Richard Ellis and Far East Organization, where he built and managed sales teams and led efforts in marketing premier residential developments. He is instrumental in many successful project launches and was involved with the transaction of various block sales and development lands to funds, high net-worth investors and developers. Mr. Ming holds an MBA in Real Estate and an BSc (Mathematics), both from the National University of Singapore and a marketing diploma from he Chartered Institute of Marketing, United Kingdom. Dr. Jagath Munasinghe is the Head of the Department of Town and Country Planning and Senior Lecturer at the University of Moratuwa, Sri Lanka. He has a PhD from the National University of Singapore (NUS). His research interests include Urban Design in Sri Lankan context, Planning Theory & the Evolution of Contemporary Planning Practice & Institutions, and Spatial Cognition & Environmental Imageability. 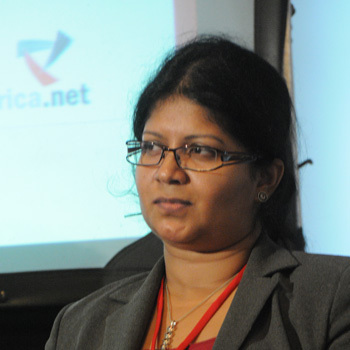 Dinusha Panditaratne was appointed in August 2015 as Executive Director of the Lakshman Kadirgamar Institute of International Relations and Strategic Studies. Dr. Panditaratne received her initial degree in law with first class honours from the University of Oxford, where she was a Markby Scholar at Balliol College. She received her master’s and doctorate from Yale Law School. Her scholarship and teaching focuses on international law, human rights, gender, and public law. 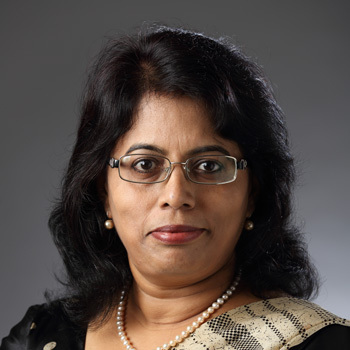 Dr. Panditaratne serves on the executive committee of the Centre for Rights and Justice in Hong Kong and on the International Advisory Board of the Asian University for Women in Bangladesh. She also enjoys writing about things other than law, and is the co-author of the book Pathways to the Peak: Remarkable Stories from Pioneering Sri Lankan Women. 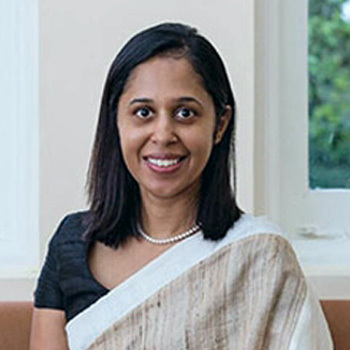 Prior to her appointment at LKI, Dr. Panditaratne was an Assistant Professor at the Faculty of Law at the Chinese University of Hong Kong and a Visiting Fellow at the University of Hong Kong. Dr. Panditaratne previously worked at Milbank, Tweed, Hadley & McCloy LLP, an international law firm on Wall Street, New York. She is an attorney admitted to practice in the State of New York. 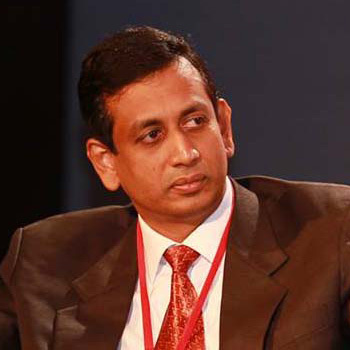 Shankar is Head of Operations, Strategic Consulting India for JLL. Responsible for development of overall business vision and goals for Strategic Consulting Business Unit in India covering the entire region of India, Sri Lanka, Bangladesh and Nepal. A real estate expert, being responsible for the revenue and P&L management of business unit of the Strategic Consulting, is responsible for developing vision for strategizing the growth in the regional business unit towards complementing overall business growth of the organization in general and Strategic Consulting Business Unit in particular. Responsible for business development activities in the region, and ensuring client relationship management by providing detailed insights to various clients to enhance their knowledge and awareness levels about valuation advisory & development advisory. As an Architect Planner with more than 15 years, has a multidisciplinary consulting experience in the fields of real estate & property development, urban planning, infrastructure, housing, urban environmental management, municipal finance & resource mobilization and urban governance. In addition, he was involved in the preparation of Master Plan Delhi 2021 and study on Future of Urbanization. He has been working on several real estate development assignments involving demand assessment, feasibility, valuation, best use option, retail advisory studies, etc., for various clients. The nature of projects handled range from demand assessment of SEZs, IT parks, malls / multiplexes, integrated townships, portfolio valuation, market research and real estate assessment. By adopting the Royal Institution of Chartered Surveyors (RICS) Valuation Standards, have undertaken more than 125 valuation assignments. He has also instrumental in exploring opportunities in Sri Lanka and has involved in many assignments for developers across the world in advising them for their entry strategy into Colombo Real Estate Market. In January 2015 Jim McCabe was appointed Chief Executive Officer of Standard Chartered Sri Lanka. He Joined the Sri Lanka team from Bangladesh where he was the Chief Executive Officer since November, 2009. Jim has held a range of senior management positions within Standard Chartered group, in the Americas as well as Asia. He joined Standard Chartered Bank in December 2000 as the Risk Head for North East Asia, Wholesale Banking. He moved on to become the CEO of the Americas in 2002, based out of New York. He held the position of CEO, Standard Chartered Bank, Taiwan, between 2006 and 2008. 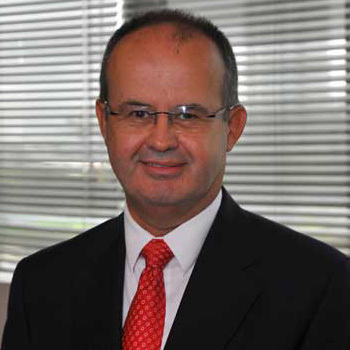 Prior to joining Standard Chartered, he was the President of Bank of America in Mexico. Jim holds a Masters in Business Administration (MBA) Degree from Thunderbird School of Global Management, Arizona, USA. assignments in both the public and private sectors. Brian is currently the Managing Director of Microsoft’s Sri Lanka and Maldives subsidiary with responsibility for all Microsoft’s operations and engagements across the region. In his time at Microsoft, Brian has been a passionate advocate of the start-up and SME sector, establishing multiple programs to grow this key sector and entrepreneurial capabilities across organisations of all types. 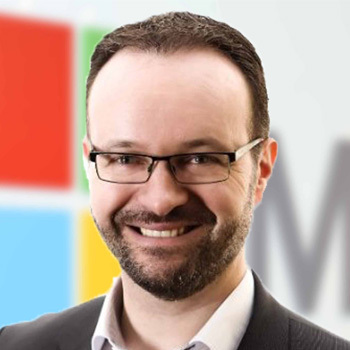 In addition, Brian is a long term member of the organisational culture team and has been a key leader implementing Microsoft’s transition to Activity Based Working and championing the mobile enterprise and flexible work styles. 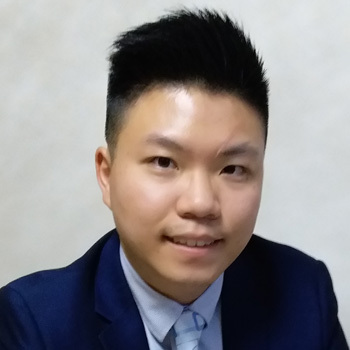 Gordon currently works at Allianz Global Corporate & Specialty as a Regional Risk Consultant overlooking Engineering and Construction projects in Hong Kong, Greater China, and North Asia. He performs risk management for large scale infrastructure projects in cities such as Beijing, Shanghai, Hong Kong, and other major cities in Asia. Accepting and understanding risks, as well as providing tailor-made solutions for clients is what Gordon brings to Allianz and to its clients. Gordon is a Chartered Civil Engineer who has had over six years of experience in civil infrastructure and geotechnical engineering in Hong Kong. He graduated from Hong Kong University of Science & Technology with both a Bachelor of Engineering (Honors) in Civil & Structural Engineering, and also a Master of Science in Civil & Infrastructural Engineering Management. After graduation, he entered the construction arena in Hong Kong where he spent six years in project management of two prestigious infrastructure projects in Hong Kong, namely the Central Reclamation Phase III Central-Wanchai Bypass tunnel project and a MTRC project for construction of stations and viaducts between Ocean Park and Wong Chuk Hang. 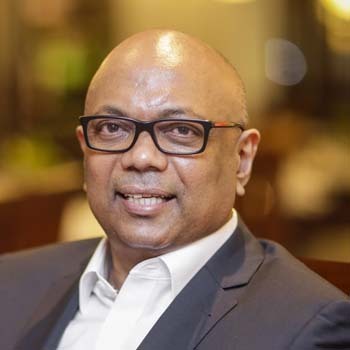 Hayleys PLC has announced the appointment of Ruwan Waidyaratne as Managing Director of Hayleys Advantis Ltd., encompassing group companies in transportation and cargo logistics, with effect from 1st April 2011. He succeeds Mr. M. O. Raban, who retires from the MD position and will function as Executive Director of Hayleys Advantis. The announcement said Mr. Waidyaratne was also appointed to the Hayleys PLC Group Management Committee (GMC) on 1st February 2011. 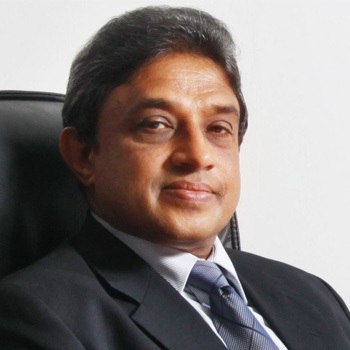 A former Chairman of the Sri Lanka Freight Forwarders Association (SLFFA) Mr. Waidyaratne joined Hayleys Advantis in 1985 and was appointed Director to one of its subsidiaries in 1996. He has served as a Director of Hayleys Advantis since July 2002, and was appointed its Deputy Managing Director in January 2010. 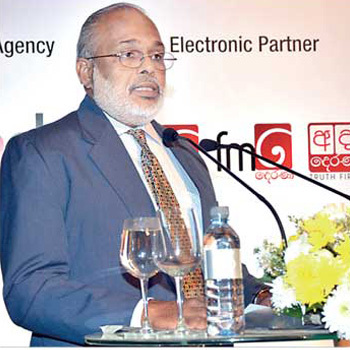 Mr. Waidyaratne currently functions as a member of the Advisory Council of the SLFFA. He holds an MBA from the Edith Cowan University of Western Australia. The Transportation Division of Hayleys PLC has over 50 years of industry presence and is a pioneer in providing Integrated Logistics Solutions, representing some of the World’s foremost Shipping Lines, International Freight Forwarders and the largest Air Express Freight Company. Comprising of more than 22 specialist companies today, Hayleys Advantis is the leader in Sri Lanka’s logistics and transportation industry providing Third Party Logistics (3PL), International Freight Management, Inland & Project Logistics, Marine Services and Terminal & Engineering operations. Anarkali has over 15 years of Investment Banking experience in Europe and Asia, particularly Asian Emerging Markets. She joined CIMB Investment Bank in Sri Lanka as the country head in September 2011. Over the past 4 years Anarkali has established CIMB as the go to investment bank for cross border transactional expertise, advising on key transactions including TPG Capital’s investment in Union Bank of Colombo PLC (2014) and Khazanah Nasional’s investment in John Keells Holdings PLC (2012). Prior to joining CIMB, Anarkali was a partner with Amura Consulting, a Singapore based financial advisory services boutique which focused on small to mid cap transactions in frontier markets including private equity, mergers & acquisitions, and financial structuring. Anarkali currently serves on the Boards of John Keells Hotels and the Lankan Angel Network. Samantha has been a pioneer in coordinating and setting up of CIC Agri Businesses which is the premier agricultural company in Sri Lanka. He has helped in developing the seed to shelf concept where 20,000 farmer families are helped to bring produce to end consumers. Samantha holds a degree from the University of Delhi and a Masters in Business Administration, UK. He is also a non-Executive Director of a number of unlisted companies including Akzo Nobel Paints Lanka (Pvt) Limited, and Seylan Bank PLC. Shivanka, who holds an MBA from Postgraduate Institute of Management of University of Sri Jayewardenepura, has over thirty years of senior managerial experinces as a senior manager in multiple industries ranging from FMCG, communication, aviation services and property development, both in Sri Lanka and abroad. At his last corporate position at the Fairway Holdings as Group Director and COO, he led a number of multi-sector housing development projects for over a period of five year. Jeremy counts a total of 16 years industry experience in telecommunications on the backdrop of a multi-country and multi-sector management career spanning over 3 decades. Jeremy joined the Group Senior Management Team of Dialog following 7 years as the Managing Director of Suntel Ltd. Prior to taking the helm at Suntel in 2005, Jeremy held several senior management positions in the Scandinavian region with Orange International, the mobile arm of France Telecom including that of CEO of Orange Sweden, a 3G green-field start up and that of Director for Strategy and Planning at Orange Denmark. Prior to joining Orange, Jeremy held the position of Vice President at an internet start-up fortunecity.com. Jeremy’s involvement with the Sri Lankan telco market has its beginnings in 1996, when he joined Millicom International Cellular as the CEO of Celltel. Tracing back to the early years of Jeremy’s illustrious career – he began his management journey in the pharmaceutical industry and later went on to take up numerous positions in senior management with DHL in Bahrain, Saudi Arabia, UK and Pakistan. Port City Colombo (PCC) is a brand new city development built as an extension of the existing Colombo. Spanning 269 hectares, it is a sea reclamation project joined to the current central business district. PCC is made up of 5 different precincts which is the Colombo International Financial City, Central Park, Living Island, Marina and the International Island. When completed, PCC is estimated to have some 5.6million square metres of build up space, boasting some of the best in design in terms of grade A offices, medical facilities, educational facilities, theme park, marina, retail destinations, hotels and various lifestyle developments. Using the latest sustainable city design and smart city concepts, PCC is destined to be the hub of South Asia. CHEC Port City Colombo (Private) Ltd is a wholly owned subsidiary of China Harbour Engineering Company (CHEC) which has more than 70 offices and operates in over 80 countries globally. With over 15,000 employees, CHEC is undertaking US$16 billion worth of projects globally. CHEC in turn is part of China Communications Construction Company Limited (CCCC) which is listed on the Hong Kong Stock Exchange, ranked 110th among Fortune 500 companies in 2016 and ranked 3rd on ENR Top International Contractor in 2016. Allianz Insurance Lanka Ltd., is a fully- owned subsidiary of international financial services conglomerate Allianz SE, headquartered in Munich, Germany. The Allianz Group counts 125 years’ experience in catering to the changing needs of communities in 70 plus countries on all continents, and is world leader in credit insurance, Europe’s largest insurer by way of market capitalisation and among the world’s Top Ten insurance companies in terms of revenue,. The Group has one of the world’s strongest solvency ratios and best credit ratings among international insurers. The range of innovative products and services Allianz provides protect the homes, possessions and businesses of over 85 million customers worldwide, and ensure they continue with an uninterrupted lifestyle even when incurring losses on the items insured. The global strength and solid capitalisation of the Allianz Group, coupled with local expertise and business know-how, have been Allianz Insurance Lanka’s powerful formula for success. Allianz Insurance Lanka has been the fastest growing insurer in Sri Lanka since its inception in 2005 as a Greenfield operation, due to a careful strategy of sustainable growth centred on an exceptional customer service experience. The Company’s robust growth performance over the years is confirmed by Insurance Board of Sri Lanka (IBSL) statistics, which state that the Compound Average Growth rate (CAGR) for Allianz Lanka during this 10 year period is four times higher (47%) than the industry CAGR (12%). This growth has been purely organic. Allianz Insurance Lanka draws on the expertise of its parent company to evaluate the risk profiles and meet the individualised needs of its extensive base of corporate and retail customers. The Company caters to all types of risk, and continues to introduce new areas of protection to meet contemporary market requirements. This high capacity to underwrite risk, coupled with the technical- know, equips Allianz Insurance Lanka to respond to customers with world class products and services that have set industry benchmarks in Sri Lanka. Allianz insures many of the world’s largest and architecturally significant structures. In Sri Lanka, Allianz Insurance Lanka insures a wide range of high- value infrastructure projects and buildings. The Company has developed high-performance solutions for the most complex and demanding risks, with an approach based on highly specialised engineering and construction expertise backed by the underwriting excellence of the Allianz Group. Engineering risks vary with industries and construction projects, so this specialist construction sector requires long-term partnerships and worldwide expertise for insuring premium projects. Allianz Insurance Lanka provides this expertise to many high-profile heavy civil engineering projects which include Altair Apartments, One Colombo, Colombo City Centre, Shangrila Hotel, Hambantota, the Southern Expressway, the 3 Flyovers Construction Project in Rajagiriya, Arugambay bridge, oil exploration projects in Mannar and Trincomalee, the 10 megawatte Solar PV Power Plant in Hambantota, water supply projects in Monaragala/ Buttala, Labugama/ Kalatuwawa and Kilinochchi, Jaffna, in addition to numerous other building, wind power and road construction projects, as well as electricity transmission Infrastructure capacity enhancement projects. The Company also insures many construction projects in the Maldives which include the Laguna beach resort construction project, the J- Resort hotel construction project, Reethi Faru Resort construction, and the Nawaloka hotel construction project. Another area of specialty provided is commercial property insurance, available for the simplest structure and the most complex high rise. Allianz Lanka provides exceptionalrisk surveys that review exposure risk from natural as well as human catastrophes, and insures many of the local and multinational companies. These include the John Keells Holdings group, the Hayleys Group, as well as numerous apparel and fabric manufacturing companies. Hotels and apartment insured include the Kingsbury, Chaya Resorts, Taj, Hunasfalls. Condominium complexes insured include Monarch Apartments Iconic Residencies, Empire Residencies, Iceland Residencies, Ltd., Crescat Residencies. Several luxury islands including the Velaa Private Island, Cheval Blanc and Randheli in The Maldives are also insured by Allianz Insurance Lanka. Allianz is in the business of providing a premier service to customers by delivering on its promise to be with them in their hour of need. With this in mind, Allianz Insurance Lanka constantly raises the bar of service excellence and has effected, and is in the process of introducing, many service enhancements that assure speedy response to customer needs. Some innovative services that increase customer convenience include self-care and self-service portals and apps for claim intimations and ascertaining claims progress, as well as e-quotations and e claims management systems for specific products. 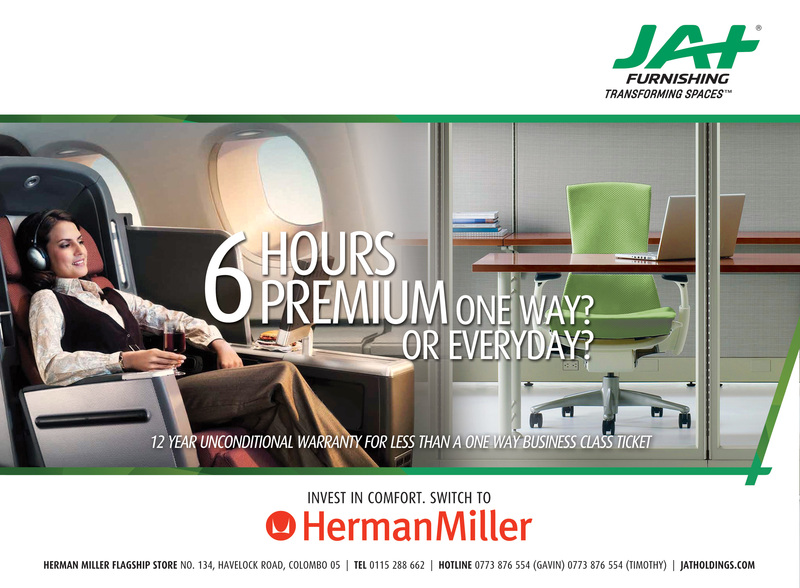 JAT Holdings (Pvt) Ltd., ventured into the corporate world in the year 1993, with the primary objective of providing state of the art, innovative and cutting edge solutions to uplift the standards of the furniture and finishing industry. Since its inception, the company has consistently brought to life, its vision of facilitating total timber solutions for a wide spectrum of corporate and individual needs. Consequent to successfully establishing ourselves in the timber coating market as a force to be reckoned with, we extended our product offering to include a more comprehensive range of products to satisfy the requirements of our expanding local and international clientele. 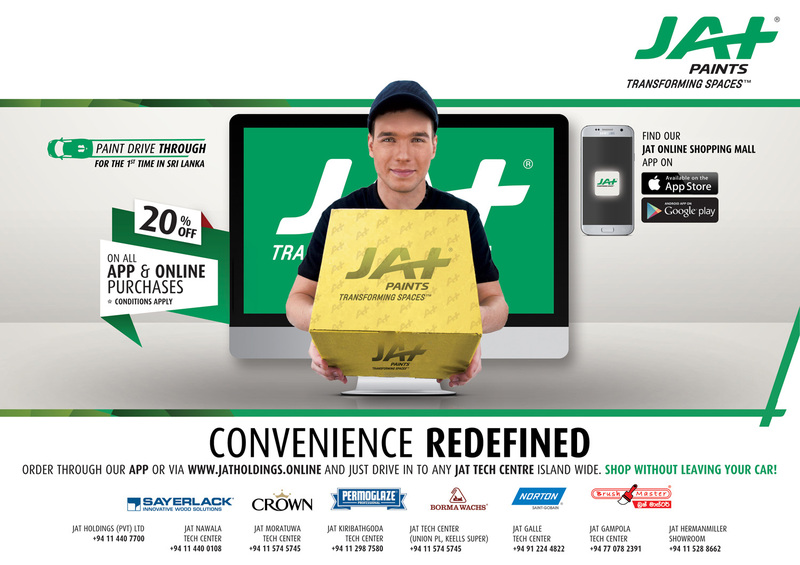 JAT has successfully ventured beyond borders, shattering paradigms and defying convention while always evolving and spearheading innovation with goals. 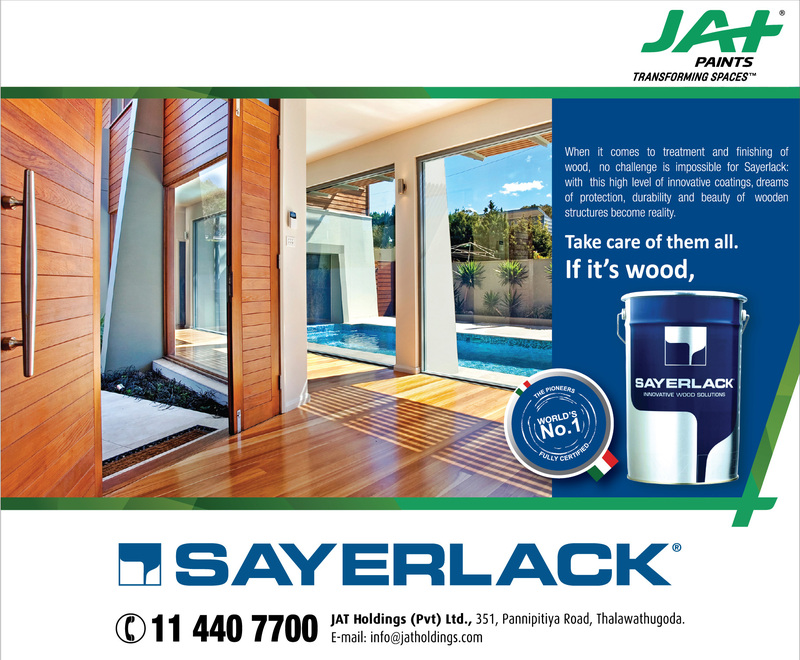 Our current Product Portfolio includes Decorative Domestic and Industrial Emulsion, Exterior Wall and Enamel Paints, Maintainers, Putties and Plasters, Mineral Fiber or Steel Ceilings, Timber Flooring and Decking, Office Seating and Desking, Carpeting, Abrasives and Paint Brushes. Our success is owed at large to an array of supporting factors that comprise of ensuring a high quality, diverse and comprehensive range of products, a vibrant and experienced sales team as well as an excellent technical support service team. Our corporate culture is one that provides JAT’s valued internal stakeholders with opportunities to execute their goals with responsibility, integrity and creativity, while evolving as individuals and team members, developing their careers and working with passion and purpose to ensure that our business thrives. As JAT expands globally – signing agreements with renowned corporate entities in the region – we envision to etch a success story that will shape into a true legacy. NO: 351, PANNIPITIYA ROAD, THALAWATHUGODA, SRI LANKA. Over 2003-06, Brand India was positioned & marketed as the world’s fastest growing free market democracy. As the author of this positioning, I was hunting for an insight that would enable me to develop an idea that could serve as glue, both for driving alignment with disparate internal stakeholder groups across the private & public sectors, but also as a foundation for outward communication. How does NYC benefit from private bus networks such as “mega bus” in the U.S? In my presentation I had focussed on the ” Customer” and Megabus is catering to the needs of the customer safe secure and efficient mode with greatly reduced carbon footprint. Ajay, can you comment on the sequencing of BRT and LRT, jump ahead to LRT? Or start with BRT? Shld an underground system preceed LRT? Ajay, can you comment on the sequencing of BRT and LRT, jump ahead to LRT? Or start with BRT? The Planning team based on the needs of the city in the horizon year have decided to go with an LRT system with its own Right of way instead of the BRT( which also would need its own Right of Way but will have a reduced throughput) Regarding going underground it is a cost issue so i would suggest in order to maintain Colombo’s beautiful skyline in certain areas we should go underground and also look at grade protected right of way solutions also. it will be tough but worth the effort!! Ajay you have experience in both bus and rail. What r the demerits of these modes. Do you agree/ disagree LRT is better option than BRT ? When we speak about public transport: The private bus cluster is extremely unprofessional, treats passengers extremely badly, do not respect law, road rules and order of the country. These clusters needs to be looked at seriously. What are the plans made to solve these burning issues when you discuss of increased quality of life a better western province a country to live in? Improving public transport is the key to controlling traffic congestion. With the rapid economic growth experienced in the western region, Government must act fast to re-organize small private bus operators into sizeable and professional operation. Chinese cities have done this. Some cities used to have 50 bus operators and they were grouped by government action to 5 companies. A single bus company for Colombo would be too big and if there is no competition, there should not be checks and balances. Related to improving public transport services is to find the right structure and organization to conduct bus services. In Hong Kong, bus companies are offered franchises through tenders. Bus franchises are valid for 10 years and renewable every 5 years provided the companies can provide proper and efficient service. The franchise requires the franchisee to produce 2 year plans on how they would improve bus services, acquiring new buses and building bus depots. Government is responsible for the basic infrastructure such as bus terminals and bus stops. The idea of bus franchising is that the operator will take responsibility in providing profitable and un-profitable routes. Bus franchised in Hong Kong receive no government subsidy. If subsidy is needed, then Government can revert to bus contracts in which the bus operator provides services at a fee with buses and depots provided by Government. Alternatively, the bus operator can be asked to provide the bus fleet but the contract fee would be higher. However, all bus revenue goes to government. 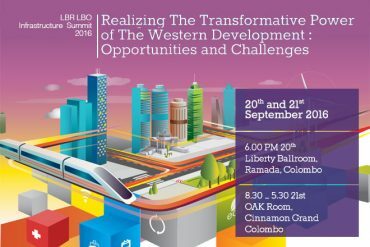 Is investing in a underground system for Colombo and other cities a good solution using the R & P model as mentioned by Dr Chan? The Hong Kong R + P model will definitely help in the financing of rail construction which is very costly. With population over 3 million, the city would justify to have a rail network. HK government set up a MTR Corporation to build the MTR system and therefore initial funding comes from government but the property development model helps to finance a substantial proportion of the cost because land and property prices in Hong Kong are high. Tuktuks are unfortunately now an integral part of our transport system but is also a menace. Should our future urban transport strategy eliminate the use of tuktuks? Tuktuks, which are three-wheelers vehicles, provide a convenient transport mode. However, there are various draw backs and would not be suitable for Colombo for the long term development. there is little protection for passengers. Tuktuks could be replaced by formal transport such as buses, light buses and taxis. However, it requires a delicate planning and implementation process. There should be a plan to stop licensing tuktuks, setting up of companies to provide taxi/light bus service. If there are bigger tuktuk companies, they could be offered to convert to taxi/light bus operation. 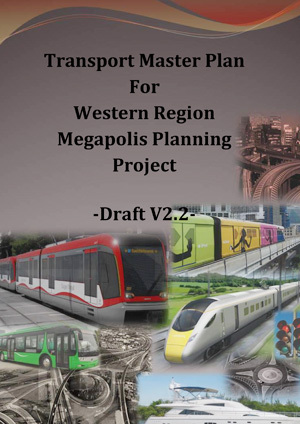 The main question rests with the future transport plan. The hierarchy of transport modes for a developing city includes: urban rails (mass carrier), buses (high capacity carrier), public light buses (medium capacity carrier) and taxis (personalized form of public transport). From a control point of view, it is preferable to put buses and light buses under one single company. Mix fleet will help the bus operator to better use its resources. Taxis should be given limited period license i.e. 6 or 8 years in line with vehicle life. Individual ownership should be avoided as it would be difficult to control. The answer is, tuktuks, have to be phased out as the city grows . They can remain in villages and the city serves by more efficient transport modes. Ruwan what is GOSL doing to make single window and e-commerce happen? 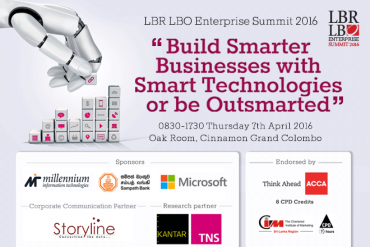 The Government of Sri Lanka (GOSL) is heavily investing in developing the infrastructure for a digital economy. Under the digitalization plan, GOSL is taking measures to fulfil the need for enhanced connectivity amongst all regulatory and government bodies in Sri Lanka. The launch of the Customs Single Window System on 4th January 2016, by the Finance Minister is a significant move towards fulfilling efficient trade facilitation measures as well as integrating the private and public sectors by providing a single platform. This move is in line with the international regulations of the World Trade Organization and the World Customs Organization and will enable Sri Lanka Customs to connect all the border regulatory agencies responsible for issuing licenses, approvals, certificates, recommendations, tax waivers and exemptions to the Core Customs Software Application, namely ‘ASYCUDA World’. However in comparison to countries like Singapore, Sri Lanka still has a long way to go. Singapore is considered to be having a proven single window system that integrates all government authorities such as customs and port related services, health department, agriculture authorities, tax authorities and banks, etc. under one platform. Hopefully, with all this innovation, the GOSL would be successful in emulating Singapore which has reached the pinnacle of international trade much due to similar yet far more sophisticated systems. In line with its digitalization vision, GOSL also intends on regulating businesses operating under the e-commerce sector. This is with the objective of bringing all the e-commerce businesses to operate under the accounts of local banks which will enable more control. The Government is also encouraging and supporting “Start-up” companies with flexible foreign exchange laws under the Exchange Control Act ensuring the ease of exchange and a more fluid business process. All the aforesaid measures will result in the stimulation of small businesses as well as further strengthening existing businesses.